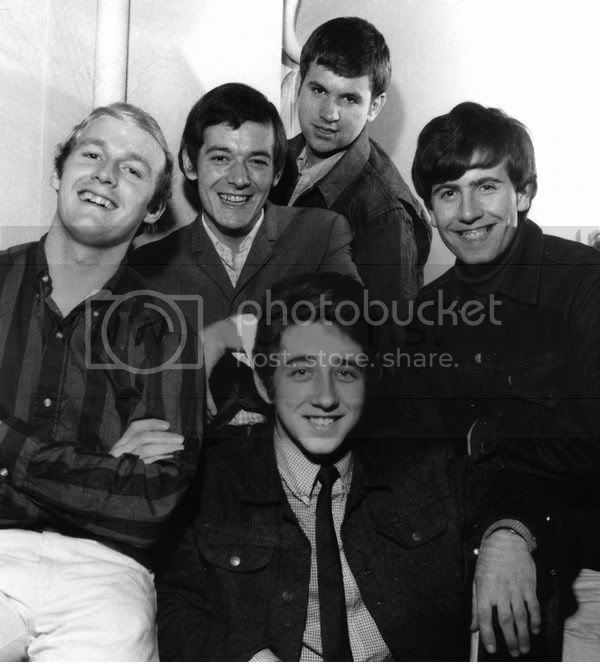 Here's another one of my favorite early Hollies photos. 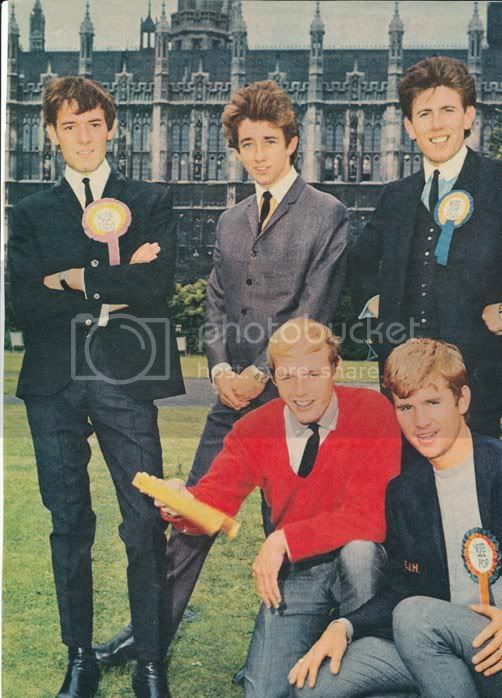 This was taken sometime in 1964, and the lads are so cute and handsome, as always! I just love Allan's smile. 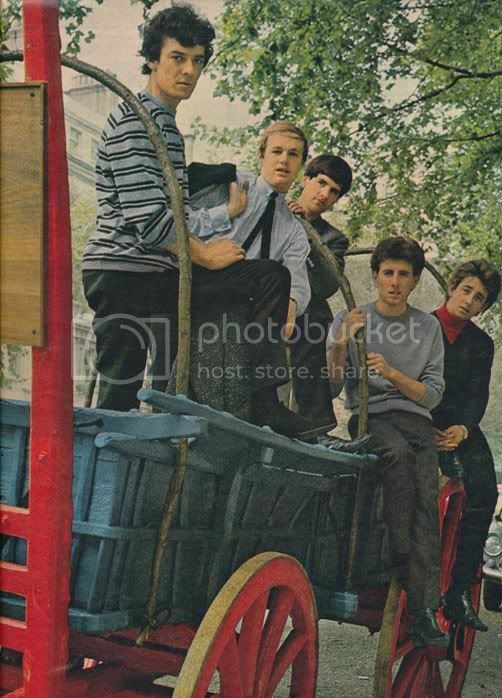 Bobby and Tony look so boyish and innocent. And male fans as well, Paula. Though probably not in the same way!!! Awww, thanks, Paula! Seeing the lads smile makes me grin like my lips are stuck that way! John, I'm glad a guy will admit that he likes these photos, too - of course, in a different way! Thanks, Kat. I'm looking forward to it! 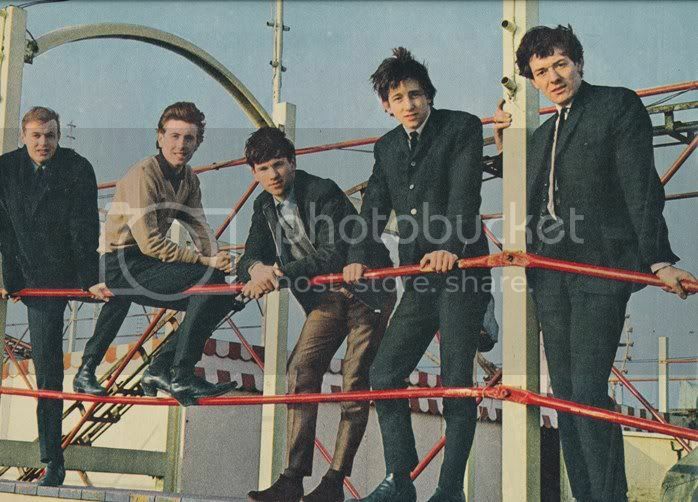 Allan must have used too much hair gel that day, explaining the flatness of his hair! 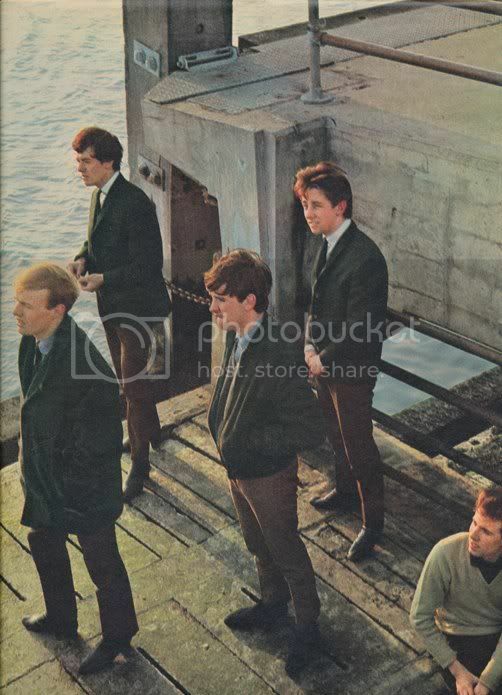 Thanks for sharing the photos Anthony The photo taken on a pier/jetty looks like the setting of the clip for I Can't Let Go, shown in the HOF introductory film? I also wonder what the one in front of the Houses of Parliament was all about! What a stunning set of pictures to have won on ebay... a lot of them look hand-tinted too!!! I don't think I have seen any of those photos before. Thanks for sharing, Anthony.